Our two part service is second to none. We first perform a physical inspection of your property, starting at the curb and finishing in the crawl space. We ensure that no stone goes unturned and no space left unchecked when we inspect your property. If, for whatever reason, there is an area we cannot inspect, you will be notified before we leave the property. We will always keep you in the loop and ensure you are happy with our service from start to finish before leaving. The second part of the process is the inspection report, which we aim to get to you on the very same day as the inspection. This is why our service is so unique – because we offer a fully personalized service with same day reporting. 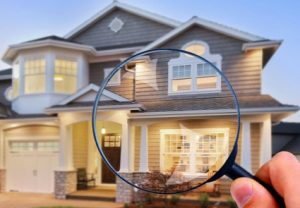 How Does Our Home Inspection Report Work? We are unique in the Oregon area in that we are one of the fastest home inspection companies with our same day turnaround time. 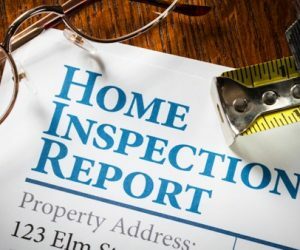 But how does our home inspection report work? Once the report is complete you will receive a personal link via email, and you will then be able to download and print your report if you need to. We will always aim to get the report to you before close of business on the same day. There may be rare occasions when we can’t do this, but you will always be notified and we will get it to you at the next available opportunity. We will never leave you guessing or in the lurch; we like to keep our clients in the loop every step of the way. Our Home Inspectors serve all of Central Oregon! Although we are a small, family run business that focuses on home inspections, that is not all we do. We ensure peace of mind and confidence for each and every client, whether they are a buyer, seller, or agent. We not only serve clients in Bend but Central Oregon areas such as Redmond, Prineville, Sisters, La Pine and the surrounding areas, too. If you need a home inspection in Bend or the surrounding areas, call us today to discuss your needs. We promise that you won’t receive a service quite as comprehensive as ours anywhere else in the area. We are customer-focused, and will go above and beyond to meet your needs. We can offer you a quote, answer any questions you have, and book you in at a time that suits you. Our expert, reliable team hopes to hear from you soon! Let's Get Started! Book Your Home Inspection Today. Our Home Inspectors are ready to make sure your next home is a dream come true without unexpected surprises!